Free Practice 1 + 2: In the free practice sessions the Kaufmann Drivers worked both on Quali and Race set up due to the very hot outer circumstances in south Spain. In the second free practice session it was Malja on P 6 in the end and Jörg following closely on P 7. 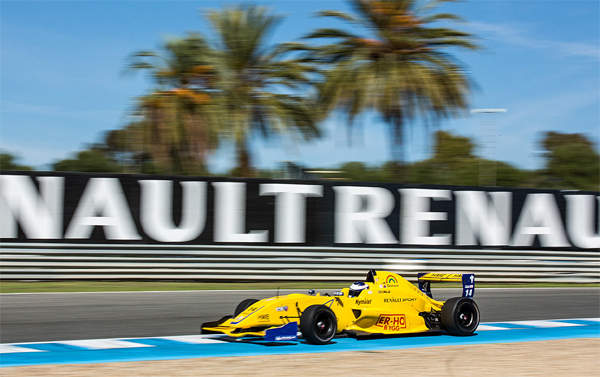 Ryan Tveter due to an injury suffered in his Paul Ricard crash wasn´t able to compete in this race. Qualifying 1: In the first qualifying session Malja was first on track only qulifying on P 7 in his group. Jörg in the group B was leading on P 1 after the first flying lap. Improving again sector 1 and sector 2, in the final corner a red flag came out and qualifying wasn´t restarted anymore. Jörg only on P 5 in the group due to this. On the grid, Jörg P 9, Malja P 14. Race 1: Jörg suffered from a very bad crash in the first lap. His car was totally destroyed. 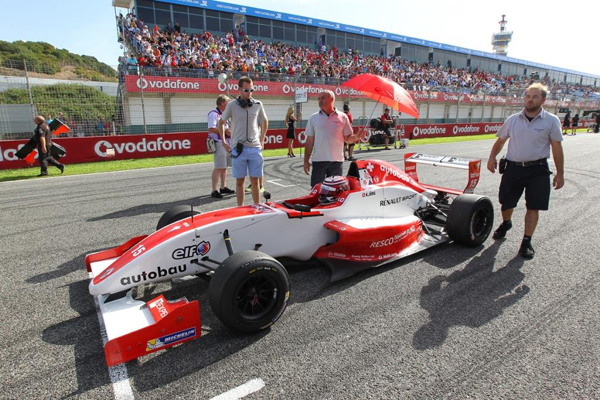 Malja who had to avoid the crash infront of him also damaged his car and was forced to retire as well. Qualifying 2: In the second qualifying Jörg first did an installation lap to shake down the over-night-build-up car. After that he drove a very good quali and ended P 2 in the group. 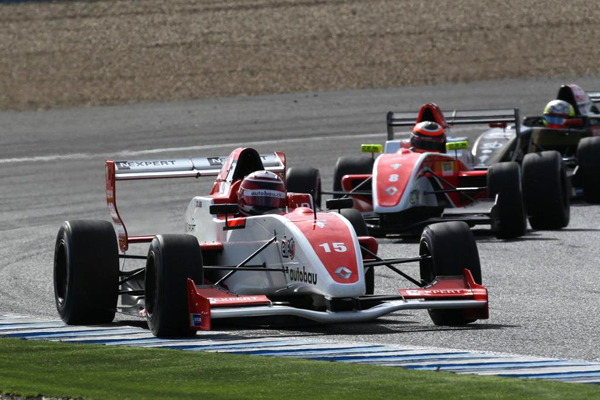 Malja improved compared to the day before and was P 6 in the group. On the grid, Jörg P 4, Malja P 11. Race 2: Malja drove a clean race finishing on P 10 taking few more championship points. Jörg was running on P 3 after a good start, but then lost one position in the middle of the race and finished on P 4 in the end. Overall Jörg ended on P 6 in the Eurocup 2014 final standings. With 1 victory and a second place, an overall very good season from the young swiss driver.